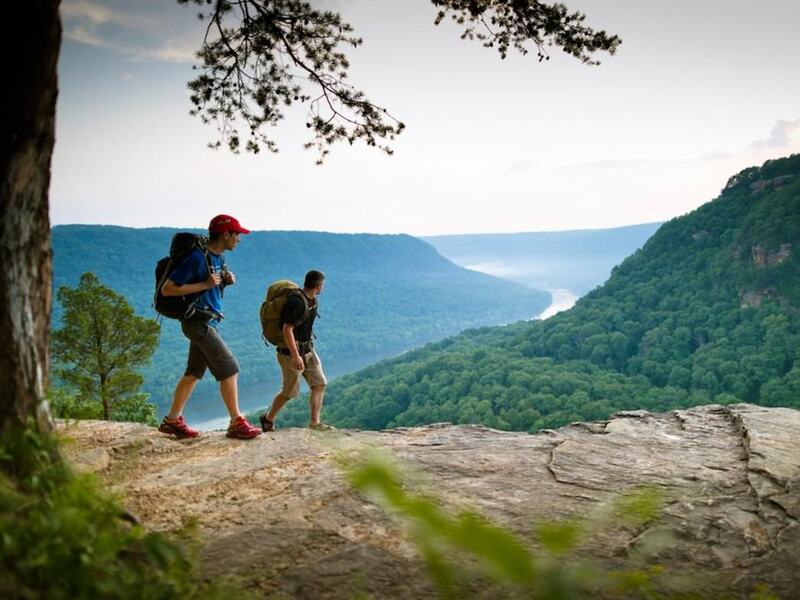 Situated at the southern terminus of the Appalachian chain, with easy access to the Appalachian Trail, the Great Smoky Mountains, and the densely-wooded mountains of North Georgia, Chattanooga is home to an amazing selection of backpacking options within a 3 hour drive. Below is just a quick glance at some of the best options, as recommended by Rock/Creek employee (and backpacking enthusiast) Josh Legg. Happy Trails! 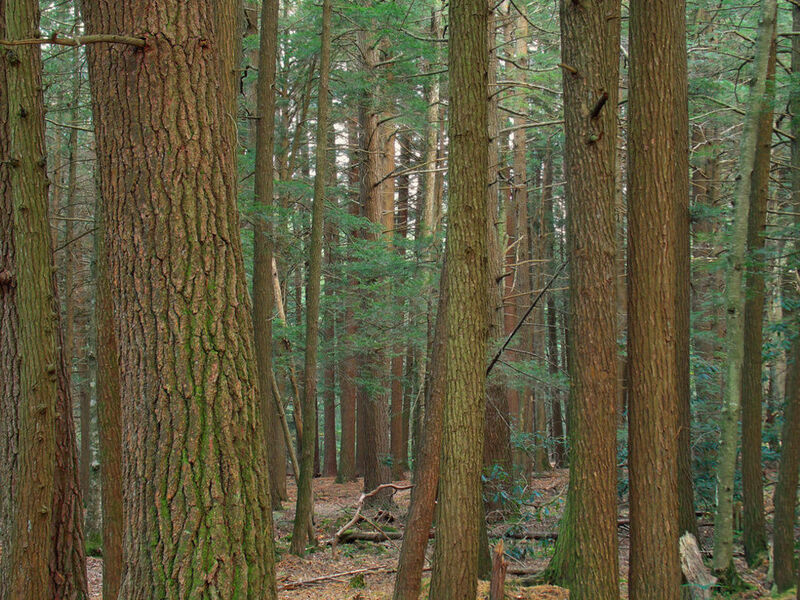 The closest backpacking option to the city itself is 6,000-acre Prentice Cooper State Forest. Just twenty-five minutes from downtown, in Marion County, this sprawling state forest offeres 35 miles of hiking trails—including sections of the Cumberland Trail—backcountry sites, and also a car campground for less adventurous overnighters. Home to exceptional views of the Tennessee River Gorge as well as plenty of other interesting natural features like Mullens Cove, Indian Rockhouse, and the Pot Point Boulders, Prentice Cooper is a great place to get away from it all without having to drive too far. Permits are required for camping along the CT. Located about 45 minutes from Chattanooga, in Dayton, Laurel Snow is a 2,000-acre natural area home to steep gorges, virgin hardwood forests, plunging waterfalls, scenic overlooks, and some of the best sections of the Cumberland Trail (not to mention some pretty eerie ghost stories). 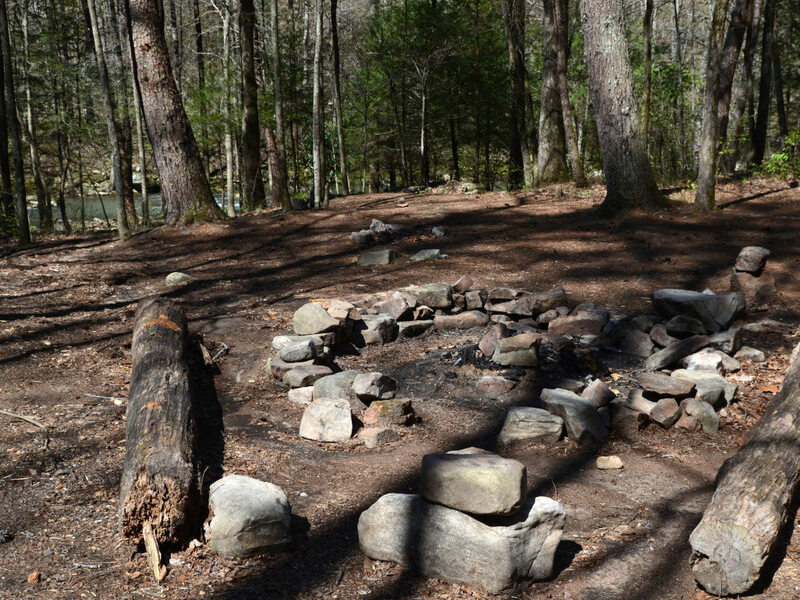 There are three prime spots to set up camp in this state natural area: the Henderson Creek Campsite at Mile 1.8 from the trailhead, Laurel Creek Campsite 0.9 miles on Laurel Falls spur, and Morgan Creek Campsite 2.4 miles on the Snow Falls spur trail. Registration is required for all of these sites. Comprised of roughly 25,000 acres and spread out over the boundaries of no less than four Tennessee counties, South Cumberland State Park is a hiking and backpacking mecca in the Southeast. The famous Fiery Gizzard Trail (a 12.5 mile point to point)—considered by Backpacker Magazine to be one of the top 25 trails in the country—slices through the park, and there are also over 100 backcountry campsites littered throughout the area. 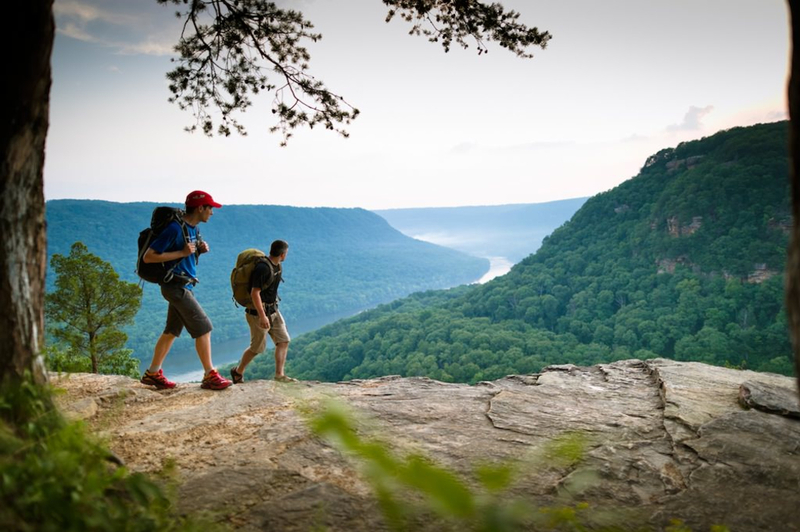 Home to stellar waterfalls, spectacular views from Raven's Point, and gorgeous cliff-lines that climbers flock to from far and wide, this area is an amazing place to go backpacking just an hour from Chattanooga. 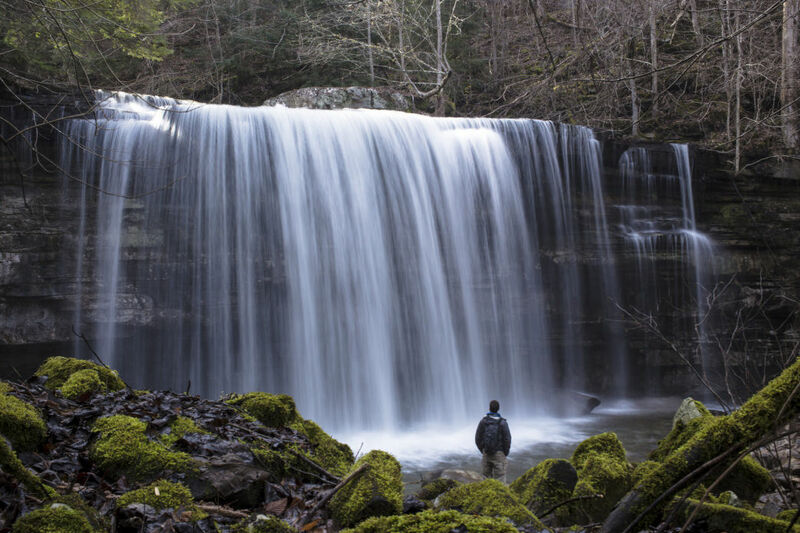 With over 50 miles of trails stretched over 15,590 acres of pristine Cumberland Plateau wilderness, Savage Gulf is one of Tennessee's most rugged and beautiful wilderness areas. Depending on which entrance you use, driving distance is approximately one hour to an hour and a half from Chattanooga. You can access from outside Whitwell or near Beersheba Springs in Grundy and Sequatchie Counties. The Stone Door’s striking cliff walls and stairs, the spectacular views along the rim trails, the rough terrain along the creeks and waterfalls in the bottom of the gulf, and the picturesque Hobbs Cabin make any of the trails worthwhile, and there are plenty of backcountry sites to choose from. Located in the heart of Georgia’s Cohutta Wilderness, about an hour and half from Chattanooga, the Jacks River Falls Trail is a 9-mile route that features a number of creek crossings and showcases some of the North Georgia backcountry's most spectacular features. With a number of swimming holes along the way, as well as some great cliff jumping at the final Jacks River Falls terminus, this trail makes for an especially awesome trip during the summer months. You’ll find plenty of campsites, all on a first-come, first-serve basis, that are close to the river and in the forest. Only two hours from Chattanooga, Great Smoky Mountains National Park is America's most visited national park, and it's home to countless world-class backpacking trails and camping opportunities. 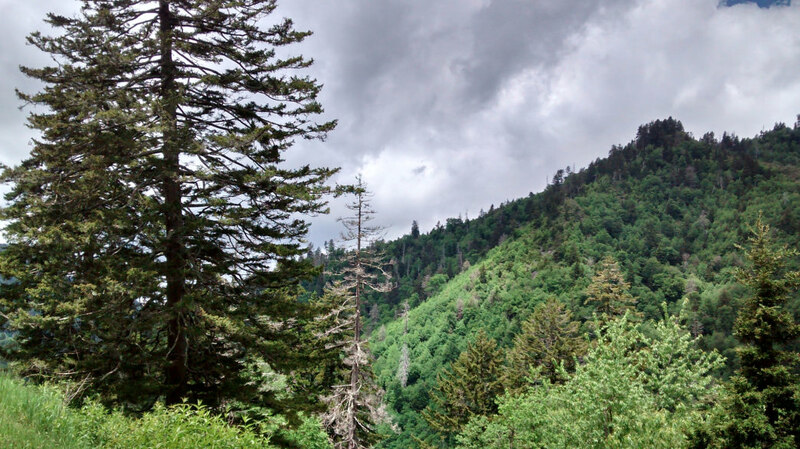 Whether you choose to traverse the 71 miles of Appalachian Trail that weave through the park, or take on the 24-mile Standing Indian Loop, or hike any of the other 900 miles of trails in the park, you're sure to find something to suit your fancy in the Smokies. Permits are required everywhere in the park. Close to three hours from Chattanooga, in North Carolina, the Joyce Kilmer Memorial Forest is a place known for its gorgeous old growth forests dominated by yellow poplar, oak, basswood, beech, and sycamore trees, some of which are over 400-years old. In addition to awe-inspiring trees, this area boasts one of the toughest trails in the country in the Slickrock Creek Trail, a 13-mile trail with roughly 4,000 feet of total elevation gain and 13 stream crossings. Camping is permitted anywhere in the wilderness area, using Leave No Trace principles. The added bonus of this amazing place it that it's not nearly as crowded as the nearby Smokies.